and then I just need to figure out what to dress up as this year. Something spooky or something fun or ? I never know what to dress up as... What are you going as this year? Well another knockout party last week!! Loving visiting your links and I do stop by as many as time allows. as well as extra links with your Halloween and Fall posts! 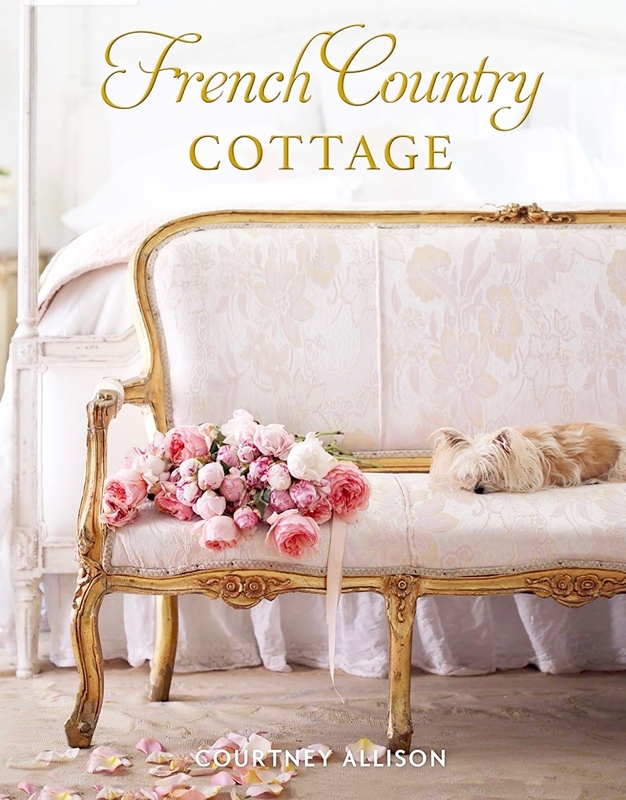 Kattys Cosy Cove shared how she makes her own furniture appliques- amazing. 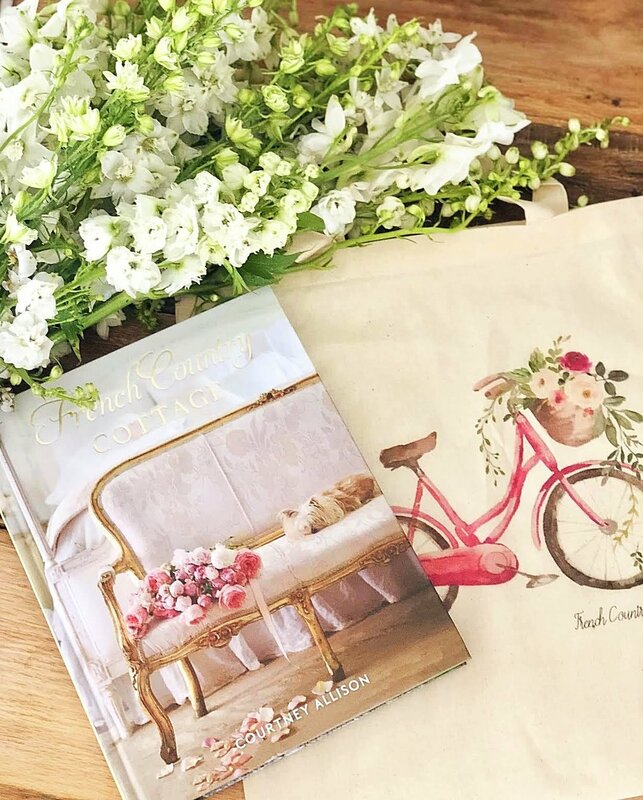 Air Kiss shared her charming chunky basket- love it. I love your bird in that vintage cage. The bunting is perfect! How cute and creepy. lol Thanks for hosting and linking with HSH! 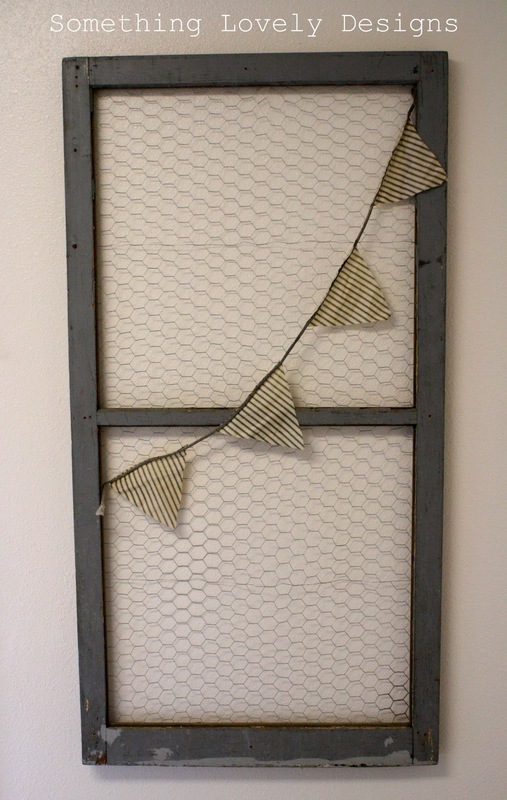 charming how your BOO banners look in the perfect shade of grey birdhouse! I love your Boo Bird Cage. I have a Bird cage somewhere around here that was left by the previous owners of the house, I would not let hubby throw it out...seems it's a good time to put it to use. Thanks for sharing your lovely halloween decor! I like your cage and crow...something I would do! 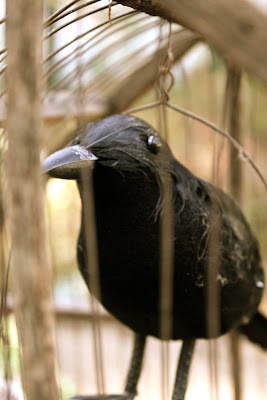 I have that crow and a cage...hummmmm... Thanks for hosting! My goodness Courtney that birdcage is so darn cute...love the letters!! What a great idea with the tags, the bird cage looks great! Thanks for hosting! Love your birdcage!! Totally want to make one! Thanks so much for featuring my daughter's room and hosting such a great party!! What a perfect bird for Halloween! Thanks for hosting! Cute birdcage. Thanks for hosting, Courtney. Really cute with the crow in the cage and the banner. I may just copy that! Thanks for hosting Courtney, love your little vignette with the crow. Courtney, Great features from last week. 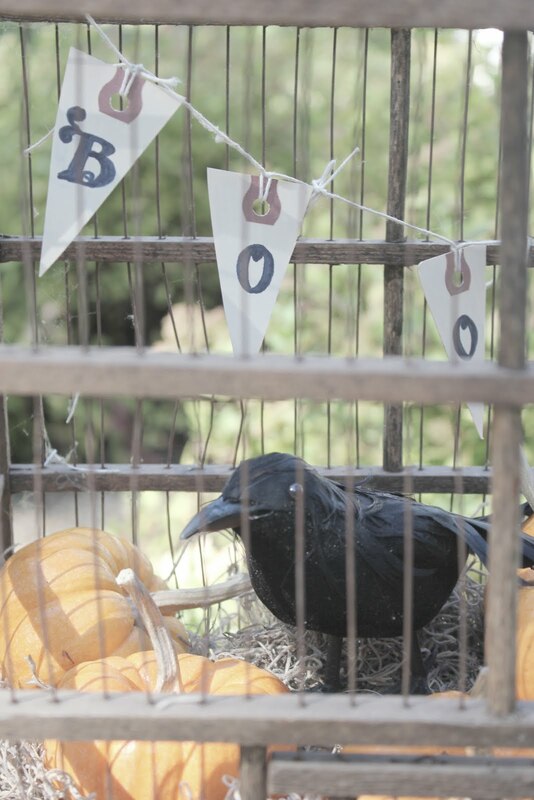 I think your bird cage and crow make a perfect Halloween decoration. I love pumpkins added for a touch of Fall color. Great idea using the luggage tags for your banner. Looks great.........Thanks for hosting. ...well now ~ you ALWAYS know how to delight us and these whimsical birds are just to cute! thanks for hosting Courtney! 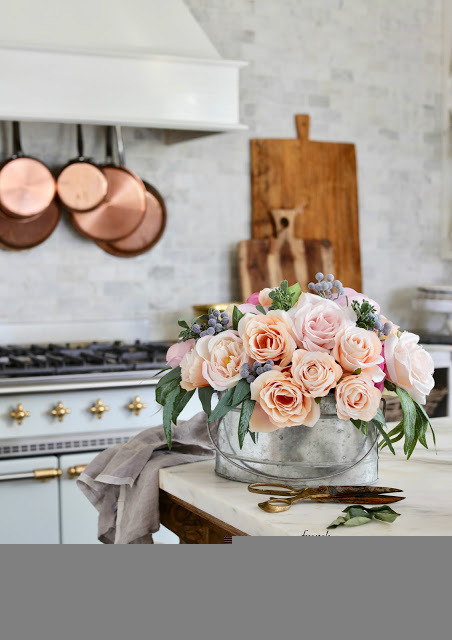 I love what you did with the birdcage- that was quite a find for you!! Those always get snapped up so fast, especially one as nice as that. The tags are brilliant. Love the inspiration here this week! That such a fun decoration of the raven and birdcage! Love it. So many wonderful ideas! It is always inspiring! Thanks so much for hosting! Thanks for the feature!!! Love your link parties!!! Cute crow! I agree, the black crow definitely gives a nice vintagey-flair for Halloween decor. ;-) Thank you for sharing my chunky basket pic! I am not sure if I like how I used the texture anymore with those photos.. a bit too strong for my taste - but I do LUV my new basket! Thanks for hosting.. I always enjoy looking through all this link party has to share. It looks great Courtney! Love your vintage Halloween decor! Thanks for hosting! Hi Courtney! What great features!! Love the nursery!! Very chic! Thanks for hosting!! 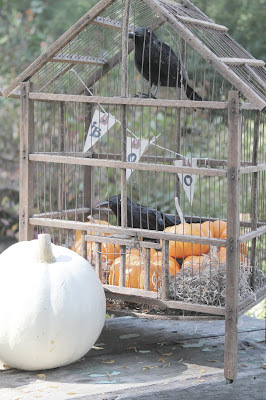 Courtney, that is a cute idea with the cage, crows and pumpkins. Thanks for hosting. Your Halloween ideas are a delight! Thanks for being a gracious hostess. I would love to link but for some reason, the linky isn't showing up..
Love the banner made out of tags... so pretty and it makes an instant design element! Thanks for hosting! Hey, Courtney! Thanks for hosting! Have a wonderful weekend! Hi there! 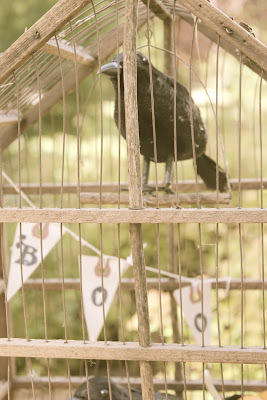 Thanks for the invite to your lovely party :) I love your crow vignette - the BOO bunting is just perfect! What a fun look Courtney! I was just talking to the Hubs tonight trying to figure out what costumes we wanted for the halloween party we are going to. Still not sure. thanks for hosting! I LOVE the birdcage, that is so creative. I have to pin this. The features from last week are great too. your banner is perfect. 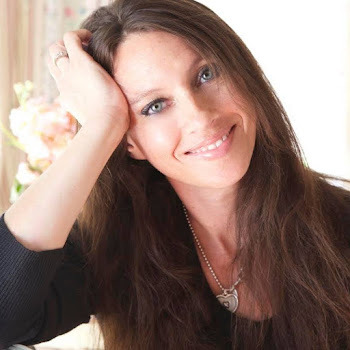 thanks for inviting me to your blog and for hosting this party. i'm your newest fan!!! I love your pretty halloween display, dear friend! Oooh..love, love, LOVE that old wooden birdcage! I would love to find one like that somewhere. I think that adding the black birds is so much fun! 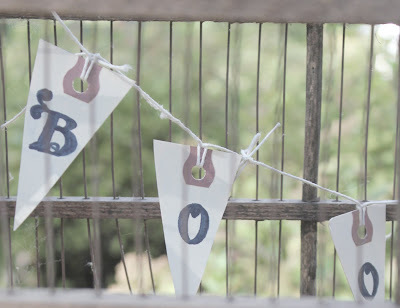 And...your little "BOO" tag garland is just too cute! You're so creative, Courtney! Thanks for sharing this adorable halloween vignette with us! Thank you for hosting another week of Feathered Nest Friday! I sooo enjoy your parties, my friend! I was kind of late getting in today...and just now getting by to leave you a note! Wow, what wonderful features, lot's of eye candy for sure! Thanks for hosting! Have a lovely weekend! I love your Halloween decor - so cute! Thanks for hosting today! Who needs Halloween with all this EYE CANDY!? thanks so much for the feature, great to be featured with all the other talented gals!! I've awarded you with the Versatile Blog Award. Go to my site to check it out and enjoy your award. Your Halloween arrangement is just darling, Courtney! 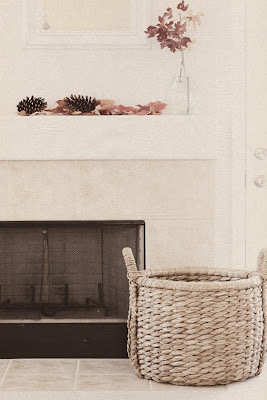 Linking up my fall entryway arrangement, complete with funky turquoise Goodwill lamps (#302). Holy cow...amazing photos and of course the crow and bird cage are awseome! Great party, love the bird cage and thank you SO much for the invite to link up! I'm thrilled to be in such great company! Thanks for hosting! I love your cute little bird and that cage ROCKS! Can only say Thank you, as always it's a great pleasure visiting you.